Can there be any disease as grueling and, often, mysterious as lupus? Back then it was very common even for doctors to diagnose lupus as something else, she says, and not just in her home town of Bismarck, North Dakota. 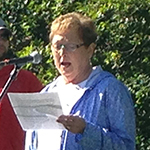 “For years lupus was misdiagnosed completely,” says Jan, on the eve of the foundation’s 17th annual Lupus Walk for Hope and 5K Trail Run – Twin Cities. Jan is married; her husband Dave recently retired from the North Dakota National Guard. Last spring the couple moved to Fargo, ND from Bismarck to be closer to their three grown daughters. Also: 25 years ago, lupus nearly killed her. “I thought it was arthritis,” Jan relates. “In a visit to my allergist he said: ‘go see a rheumatologist.’ The look on his face was, ‘you do it now.’” She got an appointment the following week – a miracle in itself. After tests were run, her rheumatologist called to say she had lupus and wanted to visit with her and her husband. She scheduled a follow-up at the end of the next week. “And I didn’t make that appointment,” Jan says. “The night before, I crashed. I had complete renal failure. Basically the only things functioning were my heart and my brain. They gave me 24 hours to live. What’s most striking about this is her positive, enthusiastic tone, even when the subject turns dark. How can you ensure that these frightening episodes do not happen? “You can’t,” she says. If anything about lupus can be simple, here’s the simplest explanation – lupus causes the immune system to malfunction. It mistakenly starts creating auto-antibodies that normally guard the body against bacteria and viruses. Instead, they attack and destroy healthy tissue. This can result in a very wide range of symptoms – pain at the joints, fever, fatigue, headaches and sensitivity to the sun among them. Like most other people, Jan knew none of this. Following her first harrowing episode, she started researching the disease. The one certainty: there were lots of others suffering from lupus, and they likely had no place to go either. Jan and her husband started a lupus support group 24 years ago in Bismarck, ND. She found a catalyst for it in the Lupus Foundation of Minnesota, which provided the help needed to start the support group. Since her move to Fargo, North Dakota last May, Jan can no longer attend the group she started. But it’s still going strong. 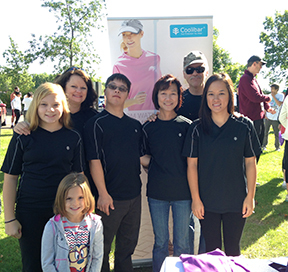 On Saturday, September 13, she walked along with Coolibar team members as the official ambassador for Lupus Foundation of Minnesota in the Lupus Walk for Hope and 5K Trail Run – Twin Cities. For information on Coolibar sun protective clothing, visit our site! And why should you buy one? If you grew up in Australia, as Coolibar founder John Barrow did, you already know the answers to these questions. If you didn’t, allow us to explain. 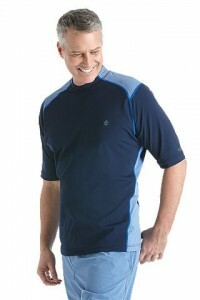 A rash guard is almost always a shirt, specifically one that’s worn in or around water. 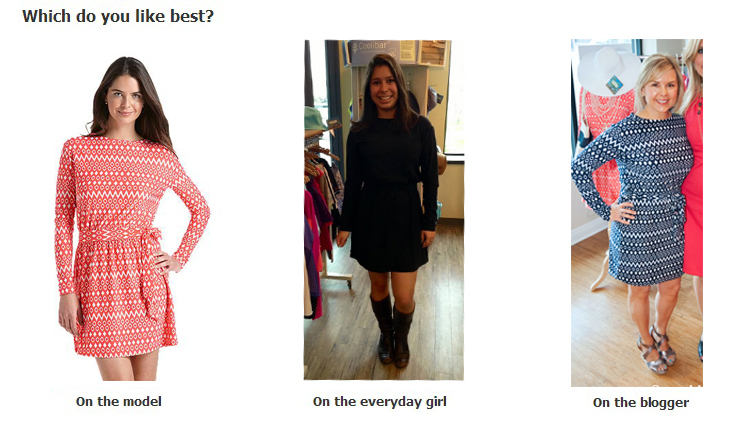 This might seem strange; after all, we have swim shirts and wraps and beach cover ups that do the same thing, right? 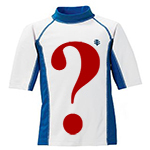 But the original Australian rash guard was called a rash guard (or “rashie”) for its ability to protect against rashes. In th e beginning, rash guards were almost exclusively for men. Almost all of these men were surfers and most of the rashes came from chafing – against fast-moving water, or against sand caught in waxed surfboards. These rash guards fit very tightly so they didn’t rub against the skin at all; sometimes people even used them underneath wet suits to protect them from neoprene chafing. Rash guards were normally fashioned from combinations of polyester, nylon, lycra or spandex for stretch, breathability and quick-drying properties. All of the above is still true today. But nowadays you don’t have to surf to wear a ra sh guard (in fact there are specialized rash guards for a variety of sports including baseball). You don’t have to be a guy, either – women’s rash guards are available in a range of colors and styles. In fact: you don’t even have to be athletic to wear a rash guard. It helps…but it’s no longer necessary. Much of this is because many of the “rashes” that today’s rash guards prevent are not caused by surfboards or saltwater or too much body motion. Rash guards today actually guard against the sun’s UV rays – good old-fashioned sunburn. That means UPF 50+ sun protection. And all of a sudden, a rash guard isn’t so strange after all. 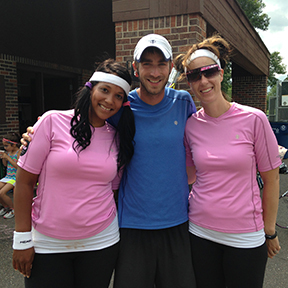 For the past two years Coolibar has worked closely with Twin City Tennis Camps (TCTC), an organization that operates tennis camps across Minneapolis and St. Paul, Minn. 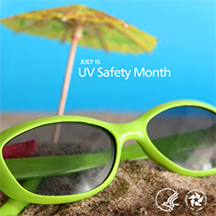 This is part of an ongoing effort to help parents and community leaders promote sun safety at an early age. What better place to do it than on the tennis courts? Still, Friday, July 18 was a first: a Coolibar-themed talent show performed by TCTC staff and junior tennis students at the Golden Valley Tennis Center at Brookview Park. TCTC operates five tennis camps across the Twin Cities and provides “an energetic, athletic, cooperative and educational style…that keeps everyone smiling, playing tennis and making lifelong lasting relationships.” The organization also operates adult tennis camps and attends annual tournaments in Minneapolis, Minn. and Palm Springs, Calif.
Latest Fashion Trend: The Bucket Hat? We first started hearing rumblings about his about a year ago, when some of the hip fashion bloggers started saying the bucket hat was a thing again. We love bucket hats; admittedly, we have an extra-large crush on them because they protect your face. But we last saw our friend the bucket hat as a major fashion player in like 1999. We thought these rumblings would go away. They didn’t. Instead, they got stronger. And stronger. Rihanna in a bucket hat? That’s a long way from Gilligan, or even LL Cool J. The latest homage comes from Refinery29, and we’re sure there will be more. Coolibar has always offered bucket hats, but if there’s going to be a trend we’re more than “Happy” to throw our hat into the ring. 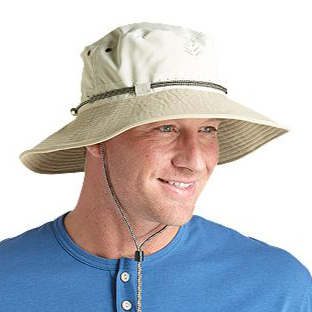 Of course, Coolibar bucket hats have an extra bonus: they’re UPF 50+. How much trendier can you get? 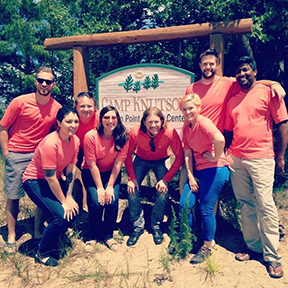 One sunny morning last week, Coolibar employees got up early, grabbed their gear and made the three-hour journey from Minneapolis to Crosslake, Minnesota to attend Camp Discovery. This one-week summer camp for kids with chronic skin conditions is operated by the American Academy of Dermatology (AAD), and encompasses five such summer camps across the country. During the afternoon the camp split into eight teams, and each composed a skit or song about sun protection that they presented to the larger group. Afterward, everyone headed to the lakeshore for some sun safe swimming. Coolibar passed out UPF 50+ swim shirts and sun hats to 98 campers and staff! Crosslake is the original location for the AAD’s Camp Discovery, and it includes Camp Little Pine (for ages 10 – 14) and Camp Big Trout (ages 14 – 16). This is the third consecutive year that Coolibar has dropped in for a visit. 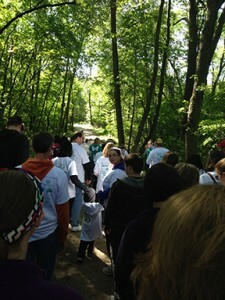 Check out our fun photos! World Vitiligo Day is a public initiative aimed at building global awareness about vitiligo (pronounced: vit-til-EYE-go). The Vitiligo Research Foundation (see below) launched a website and an online petition, aimed at the United Nations, to highlight vitiligo and officially designate June 25 as World Vitiligo Day annually. The petition needs 500,000 signatures. It’s almost there! And so you’re asking: what is vitiligo? It’s an acquired skin disease where the cells stop producing melanin – the pigment that gives color to skin – causing irregular white patches. 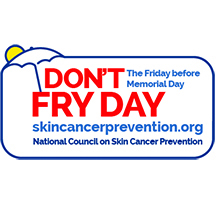 There is no way to tell where the patches will form, or if they will spread; however, they are more common on areas of the skin that are exposed to the sun. You might have heard of vitiligo because pop star Michael Jackson suffered from it. But since the beginning of history people all over the world, regardless of gender or nationality, have struggled with vitiligo. Today, as many as two million Americans have vitiligo. By many estimates, it affects more than 100 million people worldwide. You’re also asking: why does the world need a vitiligo day? 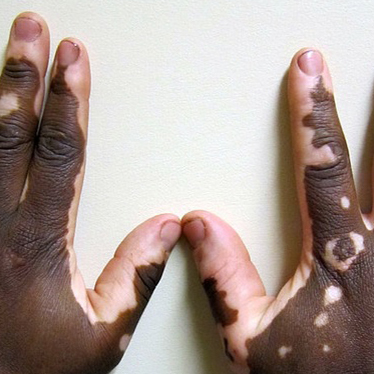 Vitiligo is not life-threatening or contagious. It’s not well-known compared to lots of other diseases and disorders. But let’s take a moment to realize what vitiligo does: Many of them are forced to live in the shadows of society. They become anxious and self-conscious. They often receive no support from healthcare providers or insurance companies. Depression and low quality of life is common among vitiligo sufferers. The cause of vitiligo is unknown. There are accepted treatments depending on the severity, but no cure. A petition has been created to officially designate June 25 as World Vitiligo Day every year. It is almost there. Click here to add your name to a list of 500,000 signatures needed to address the United Nations and highlight vitiligo. Firmly committed to curing vitiligo, the VR Foundation is a non-profit organization funding and fast-tracking medical research across the biomedical spectrum. The organization is committed to a mission of developing effective treatments for millions of people around the world who suffer from vitiligo. Founded in November 2010, Vitiligo Bond Inc. (VBI) is a registered nonprofit 501c(3) organization that aims to provide support for those living with vitiligo. 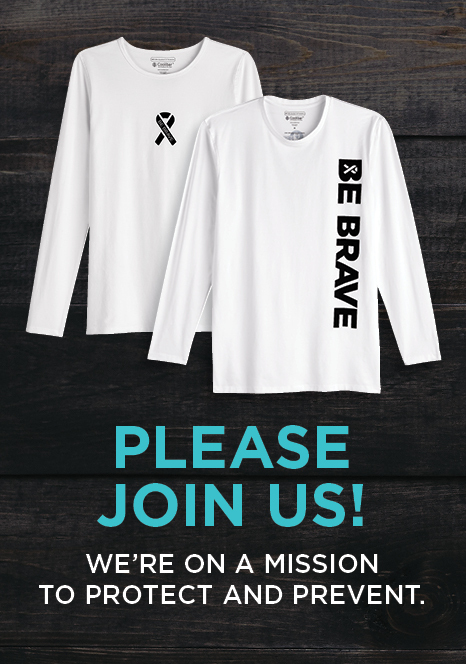 VBI is dedicated to funding research into the causes, prevention, treatments and a cure for vitiligo; increasing awareness of vitiligo spectrum disorders; and advocating for the needs of individuals with vitiligo and their families. 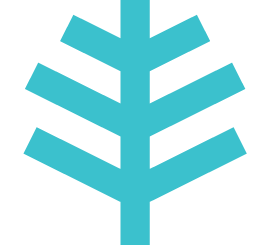 Natasha Pierre, founder of VBI, is a current vitiligan. Ask Olga: Chat Live with the Coolibar Design Director June 3 on Facebook! 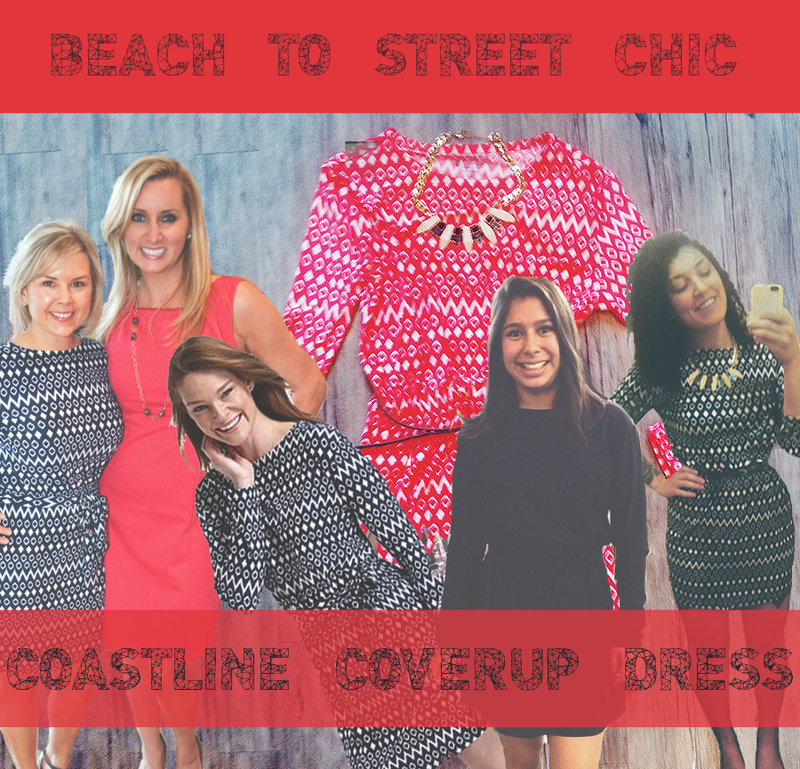 If you’re wondering about the latest Coolibar apparel and how to wear it best, or if you already have thoughts about what you’d like to see next season, this event is just for you. 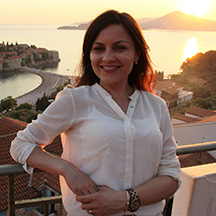 On June 3, Coolibar is hosting a live Facebook chat featuring Olga Mashkova, Coolibar’s Director of Women’s & Children’s Design. Olga will be standing by to answer your on questions about Coolibar fashion and sun protective clothing. To participate, just click onto the Coolibar Facebook page. Everyone is welcome! Which Coolibar items are you most excited about this summer? How should I coordinate your new swim base layers? What’s the biggest trend for 2015? RSVP yes before Tuesday, June 2, and be entered into a drawing for Olga’s top pick for summer 2014: the Ruche Swim Shirt, featuring a quarter-zip neckline, straight, clean cuffs and hems and the versatility to wear long as a tunic or elegantly cinched at the sides.